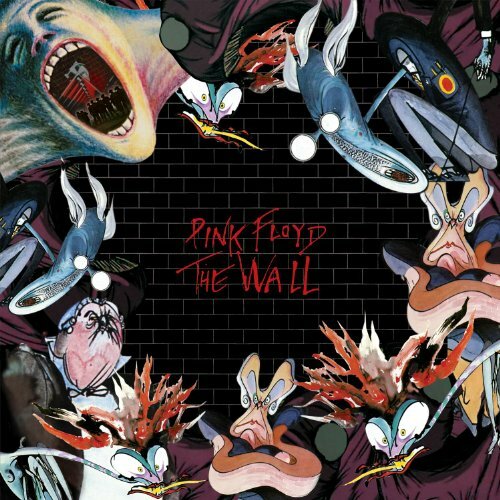 EMI have released details of the demo tracks which will be included on Pink Floyd’s The Wall Immersion Edition. The seven-disc box set includes the original remastered album as discs one & two, with a remastered version of live concert Is There Anybody Out There? taking up discs three and four. Disc seven is a DVD, but we can now reveal that discs five and six will include an astonishing 64 demo tracks. 26 of these are Roger Waters’ original demos although most of them are labelled as ‘excerpts from’ the demo. Given that 43 tracks take up Disc 5, this means the average length of each demo can only be two minutes or thereabouts. Fans will be excited to see that Roger’s demo of Sexual Revolution has been included. This track was ultimately rejected and would end up on his first solo album The Pros and Cons of Hitchhiking in 1984. Disc six is mainly band demos, but does include two David Gilmour original demos – Comfortably Numb and Run Like Hell. These demos look like being the highlight of a box which unlike the other immersion sets offers no high res audio and no 5.1 surround sound. Full demo track listing below. To pre-order The Wall Immersion Box click here. As I’m sitting here listening to the gorgeous 96/24 5.1 WYWH I’m stunned to find out that there will be no his-res 5.1 wall. I was just imagining how cool that would sound. So many sound effects in that album. Such a shame. I think I can live without a 5.1 The Wall… but I don’t see the point of not including a Blu-ray in this one as there is in the other two boxes. Nothing in the “oh by the way” was remastered. Only the most recent masters were used for that box. Ok, you are making a huge mistake here. There are NO 2007 “remasters”. The OBTW box set included the standard european releases at that time, that is, some Sax remasters and some old Harvest masterings. That’s it. Agreed about the single edits! Also, it’s a shame that as this list suggests, a complete concert video from 80-81 will not be part of the package. Having seen the complete Nassau Coliseum and Earl’s Court videos, it’s surprising that more isn’t being released in this package. That said, the demos look tremendous, starting the demos with Vera is quite intriguing, and given that the Dark Side and Wish sets will be treasure troves, we have plenty to anticipate this winter! I’d also like to see the studio version of Run Like Hell extended to its usual live length. The end guitar bit goes longer live, as does the tense/atmospheric middle bit after the keyboard solo. Was The Final Cut recorded in “Holophonic” sound? Let’s have The Wall done like THAT!! Apart from a 5.1 mix, I was kinda hoping for the single edits to be included, including Young lust with its extended intro and non-faded outro. Unfortunately we will have to keep listening to poor quality versions. I didn’t even know there was a longer single version of “Young Lust”! And I haven’t bought this set. Why? I have both “The Wall” (1994 remaster) and “Is there anybody out there?” (2000 release). And as much as I would like to have the demos….four discs of duplicate material is simply too much. Great thank you. That looks exiting. What about the contents of the DVD? Hi Jay – I’ve updated the post to show details of the DVD.